You may not find your favourite books of the year mentioned in this article. Which works of Indian writing did India buy to read in 2014? We looked at the bestselling lists put out by the leading e-commerce sites to extract the trends. These, then, are the baskets of books that we identified as the favourites of the year. Surprising no one, the story of Madhav and Ria, aka Half Girlfriend, was the runaway bestseller on all charts. That every new book by Bhagat will be a huge hit is axiomatic by now. What is interesting is how he maps his market and writes just what his chosen target audience wants ‒ in this case, a journey through St Stephen’s College, Delhi and the streets of New York, with a detour through basketball, the men’s hostel, and the swank precincts of Delhi’s Aurangzeb Road. This is fantasy in the guise of everyday events, dream-fulfilment rather than what might be, and it continues to work with people who read very little besides Bhagat’s books. While the rising tide of Bhagat’s bestsellers don’t life many boats, the ones that do benefit are other simplistic narratives tapping the ubiquitous vein of love, longing and some lust among young people. No complexities here - only pre-plotted developments moving to a pre-ordained climax, involving one-dimensional youngsters whose romantic trajectories are a surrogate for readers’ own, often faltering course of love. So we had, inter alia, When Only Love Remains by Durjoy Datta; Your Dreams Are Mine Now: She Showed him What Love Was, by Ravinder Singh; and Sorry, You're Not My Type by Sudeep Nagarkar. All of them set in college campuses or in the world of showbiz, with the complexities of reality reduced to raw and overflowing emotion, devoid of either social or psychological underpinnings. It’s easy to imagine a large bunch of city dwellers past the first flush of romance but still looking for ways to escape the relentless pursuit of the daily grind. For them there were the stories of an edgy existence, surfing that unreal territory between crime, greed and passion that never quite goes out of fashion in popular fiction, even if real life has never really resembled it. Combining all the contemporary stereotypes of drugs, virtual games, real and electronic money, markets, fetishism, gender-bending masquerading as the dark side of the soul, Ashwin Sanghi ‒ with the internationally branded help of James Patterson ‒ and Ravi Subramanian, the sultan of the sinister in current Indian writing, wrote their way into people’s bookshelves (though, come to think of it, are thrillers read more than once?). Sanghi’s Private India, part of the international Private series, was an improbable tale of detection against the backdrop of terrorism, with a string of murders following a pattern setting up a chain if suspense leading to the identity of the murder, with some soft underworld connections and even romance thrown in. As for Subramanian’s God Is A Gamer, its exhaustive research into Bitcoin ‒ the virtual currency that had nerds twisting their knickers in a frenzy ‒ a meeting between the heads of Visa and MasterCard and the introduction of Wikileaks turned it into an embodiment of the well-informed geek’s Facebook feed, told in the form of fiction. It was a page-turner despite its heavy dose of information - or perhaps because of that very reason. Yes yes, book-buyers are still keen to have their traditional myths packaged into racy tales, and the more they can combine historical characters and different epochs of time, the better. Hence the success of The Mahabharata Quest : The Alexander Secret by Christopher C Doyle, where King Alexander, the Mahabharata, terrorism and a spot of archaeology all come together for a huge - and riveting - historical-modern caper and chase. And yes, there’s all that “science” too. At the other end of the mythology as fiction scale was Shikhandi And Other Tales They Don't Tell You by Debdutt Pattanaik, where queer identity was explored. At first glance, this might seem an unlikely candidate for a popularly accepted book, but it showed the way to a discerning readership hungry for an authentic telling of the myths that emerged from the collective consciousness of the past. Of course, that’s not all that people bought and read. But the big picture is sharp. And the clear and present danger to the market prospects of the “literary book” is palpable. Now you know where publishers have to look to keep their cash registers ringing. 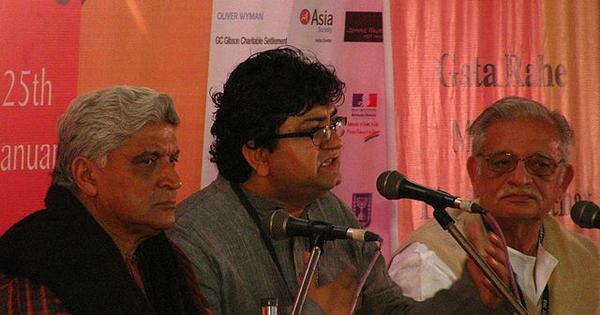 Does India really need so many literature festivals?